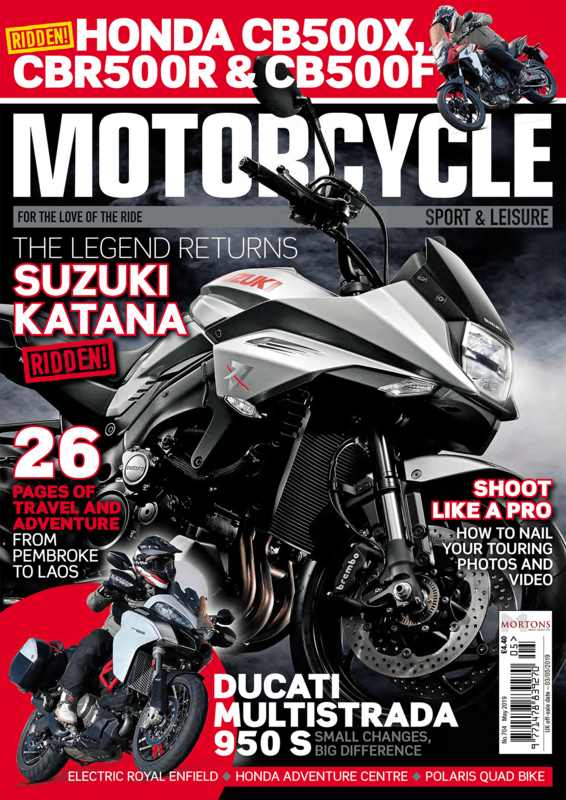 Reason one: Kawasaki’s own system is colour-coded, and fits onto the sides of the bike without the need for a clunky frame. But it’s more expensive at £1005.50. Having said that, if you bought it with the bike brand new, you might be able to wrangle a deal. Reason two: The OE luggage will take a helmet in each pannier, but it won’t take my laptop due to its sharply angled design; the Givi panniers will fit what I need with ease. I have the 33 litre models, which won’t take a helmet, but the 52 litre top box takes two easily, so it’s not a problem. 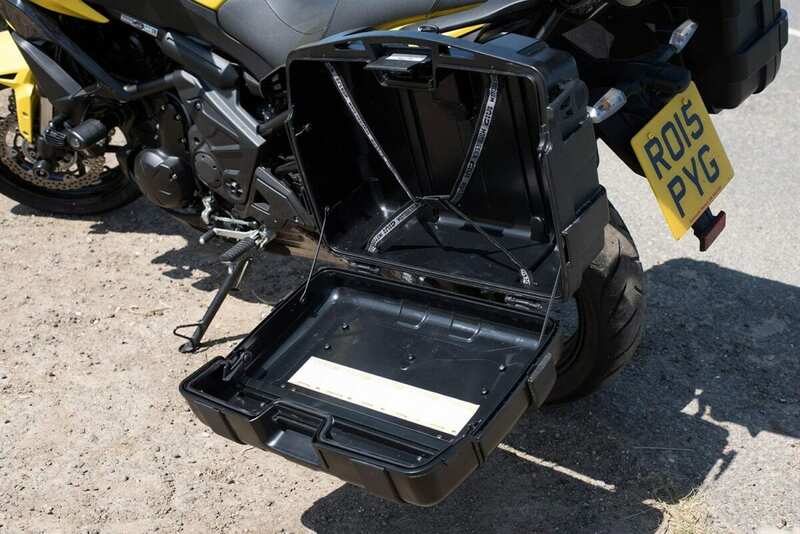 Reason four: The panniers can be opened fully, or locked so that only the top is flipped for quick access to what you need, without spilling your dirty underwear all over the roadside. 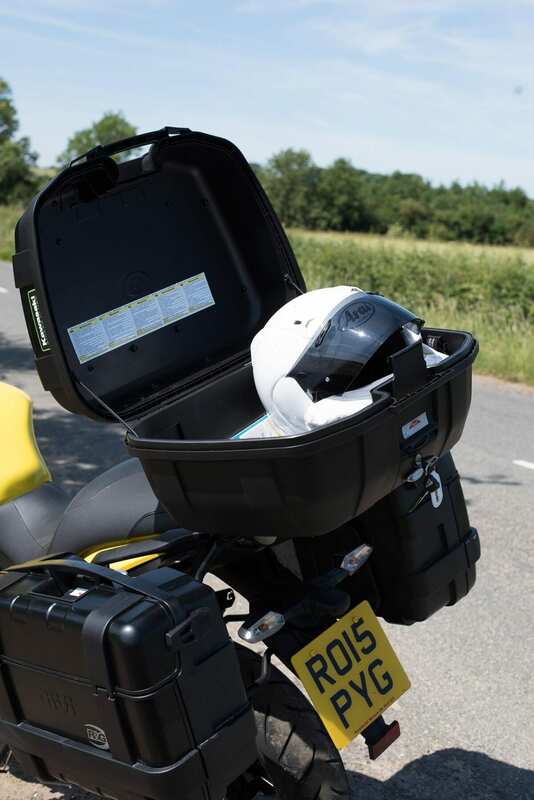 Reason three: That standard panniers take 28 litres each, but sit wider on the bike than the Givi 33 litre ones. I can fit more pairs of pants in (I’m terrible at packing), and filtering through tight traffic is just that little bit easier. 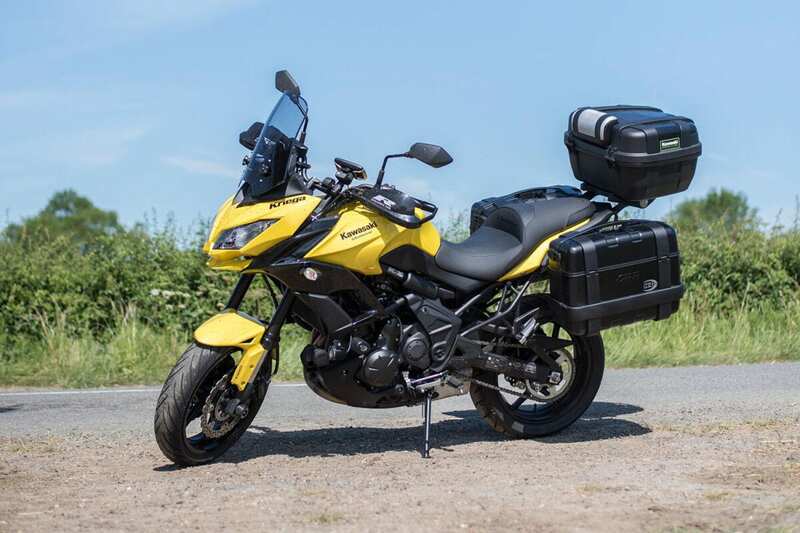 The filtering thing is key for me, and the narrow form of the Versys 650 means keeping the luggage as slim as possible is a real benefit during my two-up jaunts into the capital. What I also like is just how quickly and easily all of the units can be fitted and removed. 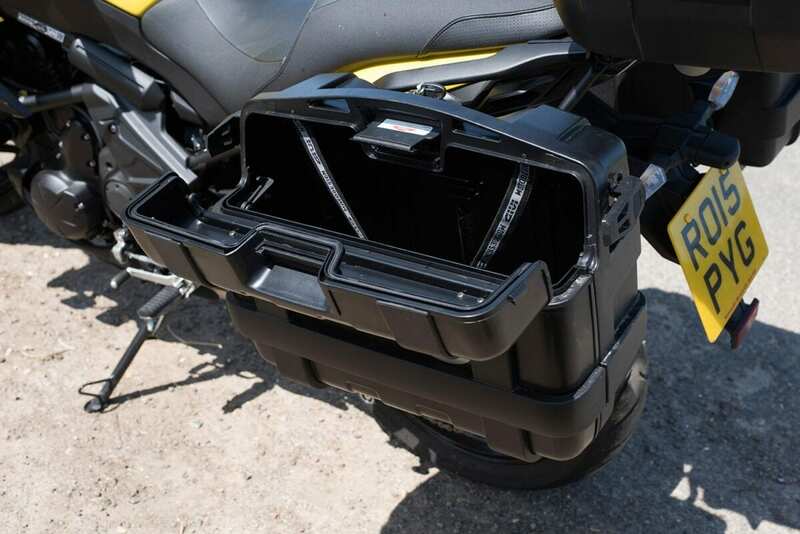 Sure, the Kawasaki panniers (also made by Givi) slot on pretty quickly, but I’ve yet to use anything as simple as the Trekkers– they clip onto the rack in a split-second, locking automatically. They can then be removed (with the key in of course) just as quickly, and tucked away in the garage until I need them again. The frame isn’t the prettiest thing to look at when you consider how tidily Kawasaki made its own system, but for me, this is all about practicality. If you’re hardly ever going to need the extra luggage of panniers, then go for some soft throw-overs, and make do with a top-box for day-to-day use. Personally, I find myself with all three boxes fitted for a lot of my journeys, so I’m not worried what it looks like without them. And besides, I can’t see it when I’m riding! Not everything works in the Trekker’s favour though. The boxes look rugged, and the thick plastic and metal construction is certainly very tough – much more resilient than many other luggage options – but it comes at the cost of weight. A standard Kawasaki pannier weighs 3.9kg when empty, but a 33 litre Trekker weighs 5.4kg, and that’s without taking into account the extra mass of the mounting frame. The 52 litre top-box weighs 5.5kg, so before you add your kit, it’s a fair old mass to clip onto your bike. But keep in mind that I’m running a 68bhp, relatively lightweight bike, and that I took it – fully loaded – to Northern Ireland; it’s safe to say that, while the front end does feel a little lighter at speed, I’m confident that the bike isn’t compromised. Even when I’ve grossly overloaded the topbox the bike has felt stable and secure. The Givi Trekker luggage system is supreme quality (it’s standard fit on Aprilia’s Caponord Rally), it’s versatile, tough and looks great. I can honestly say that, as I’m in the process of choosing the next bike I buy, I’m basing my decision on whether Givi offers a rack to fit this kit. This is luggage to last a lifetime.